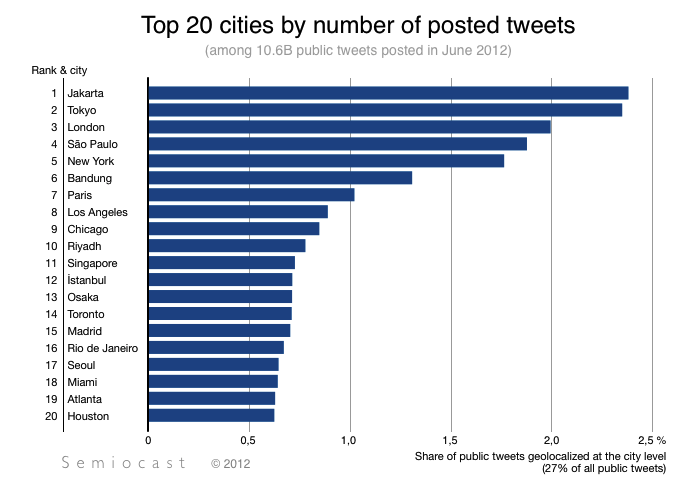 As Twitter reached and surpassed half a billion users, French social media analysts Semiocast released Twitter data from June 2012 split by world cities and ranked. Whilst the US is the country which most tweets only New York makes the Top 5 cities, Jakarta, Tokyo, London and São Paulo being the global tweet capitals ahead of it. And as social media matures in Japan and UK we can expect São Paulo to move quickly up the ranking this year towards the number two spot. This week Twitter's Adam Bain announced the opening of a Brazilian office, date and location of which is yet to be confirmed. 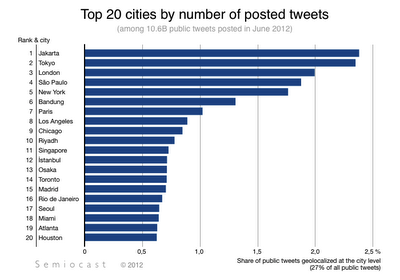 What are the chances they open it in the 4th most tweeting metropolis on the planet? 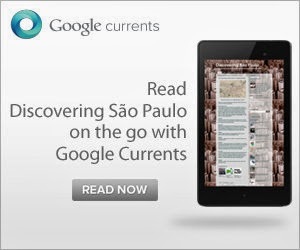 Bem Jacarta, Tóquio, Londres, Nova York e São Paulo é realmente um lugar agradável. As pessoas lá estão todos os tipos e agradável para conversar.